The Sunset Playhouse is a fully equipped theater facility that is home to the Furlan Auditorium (capacity of 299) and The Studio Theatre/Reception Room (capacity of 125). We provide ample free parking for events in either space in our connected Playhouse parking lot. 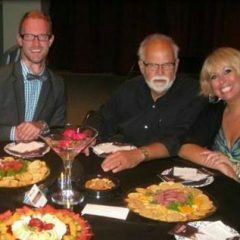 Our Studio Theatre/Reception Room is the perfect location for your next party. 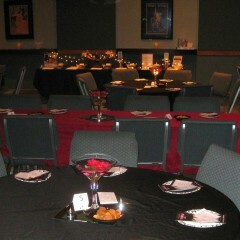 It is the perfect size for a Birthday, Anniversary or Graduation party, or a Bridal or Wedding shower. It is also a flexible space for your next Corporate Event. You might consider planning an event in conjunction with one of our performances, or simply renting it for use on its own. basic rate of $350 for up to a 4 hour period. A non-profit rate is also available for 501-C3 organizations. The Playhouse at an additional rate. Call: 262-782-4431 x234 or Email: nvarmstrong@sunsetplayhouse.com.